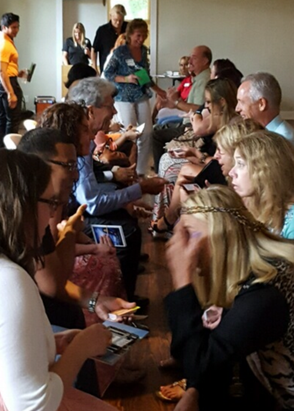 By offering speed networking as part of our West Volusia Regional Chamber AM Connection, we can eliminate the uneasiness of talking to strangers. This technique of networking allows our attendess to meet more people in a short period of time and with less effort, than they individually could during coffee breaks. Our Host is Penny DiNatale with Regions Bank and breakfast is being provided by All Things Catering, LLC.